Molly Kiely Selections 1991-2012 | ISBN: 978-0-9848325-0-7 Now on sale! ISBN: 978-0-9848325-0-7 Now on sale! Molly Kiely Selections 1991-2012 now on sale! Switchin’ to Glide. Ink on bristol, 2015; illustration by Molly Kiely. 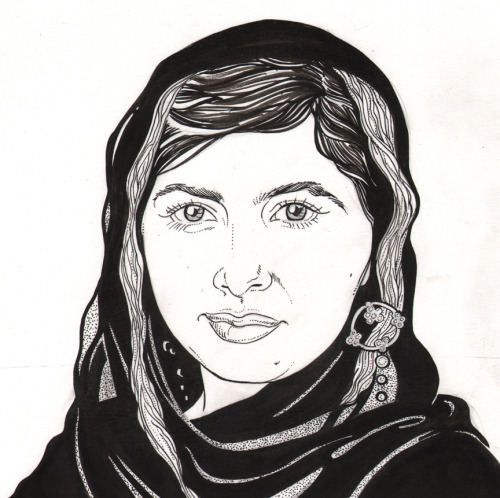 Malala Yousafzai; ink on bristol, 2014. Illustration by Molly Kiely. 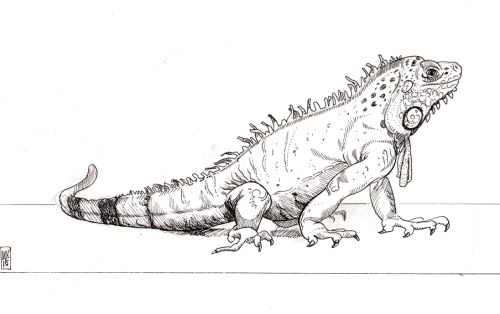 Red iguana; ink on bristol, 2015. Illustration by Molly Kiely. 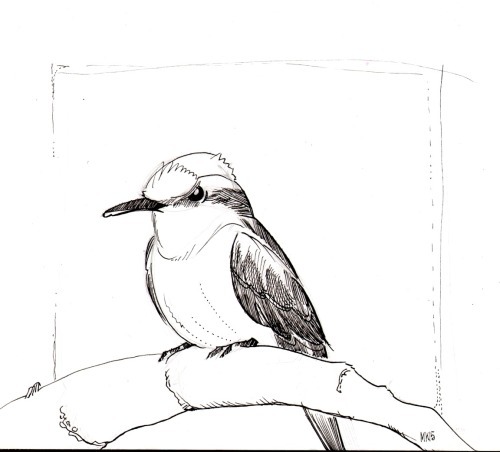 A flycatcher; ink on bristol, 2015. Illustration by Molly Kiely. Love and mercy to you and your friends tonight. 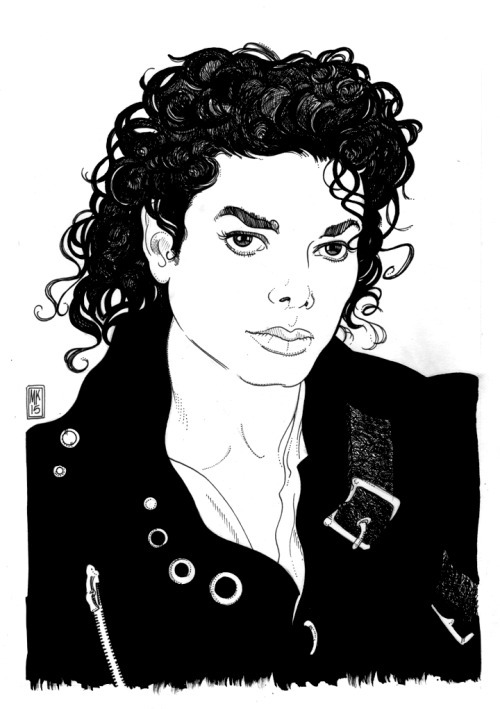 Michael, by request for Perla. Ink on bristol, 2015; by Molly Kiely. 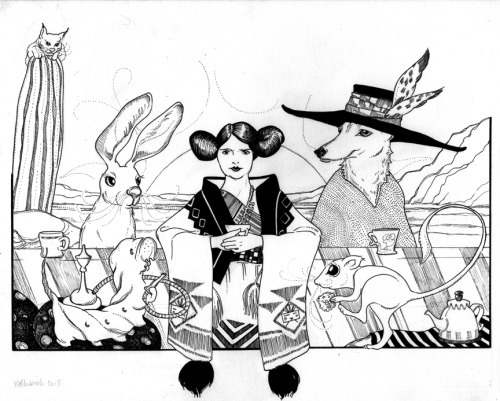 The Trickster’s Tea Party; ink on bristol, 2015…. The Trickster’s Tea Party; ink on bristol, 2015. Illustration by Molly Kiely. 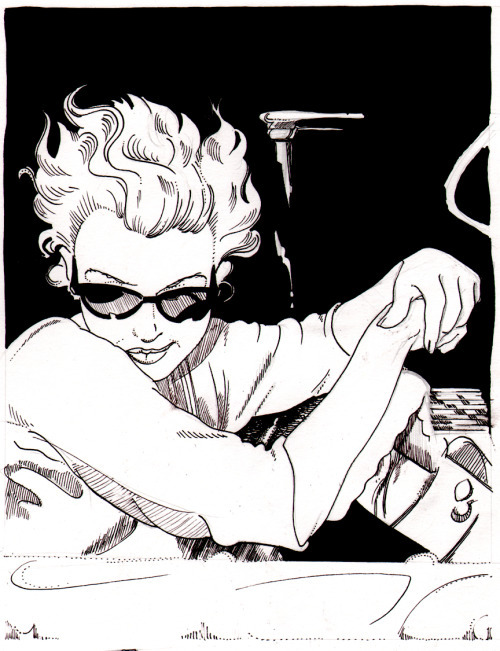 Found this pencil sketch from 2003 in my stacks and inked it…. 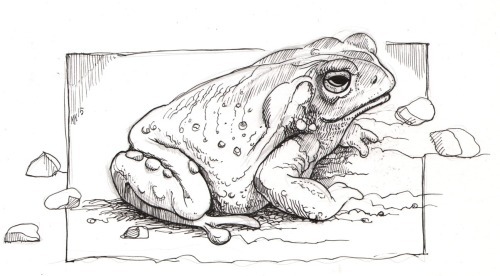 Found this pencil sketch from 2003 in my stacks and inked it. 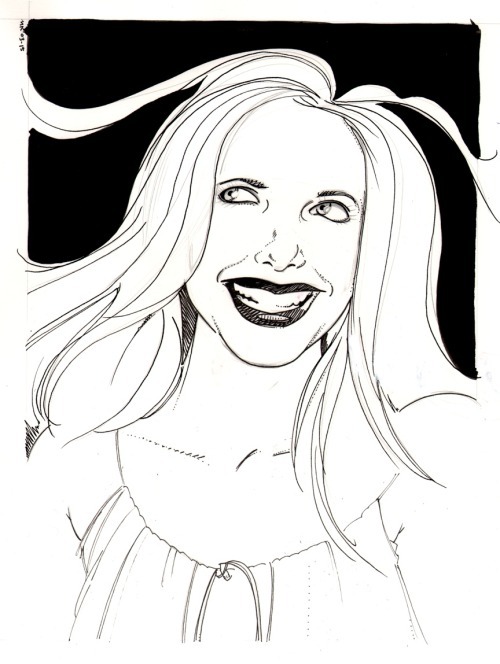 Sarah Michelle Gellar, 2015. Illustration by Molly Kiely. Amazon Eligible for Free Shipping! Alan Watts; illustration 2014 by Molly Kiely. | The Wapshott Press on Alan Watts; illustration 2014 by Molly Kiely. Selfportrait in motel chair; 2012 by Molly Kiely. | The Wapshott Press on Selfportrait in motel chair; 2012 by Molly Kiely.